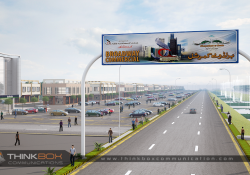 A Project of Broadway commercial in Lahore, that i made in seven days. I uses 3ds Max and Vray for the rendering. This is my latest Work .